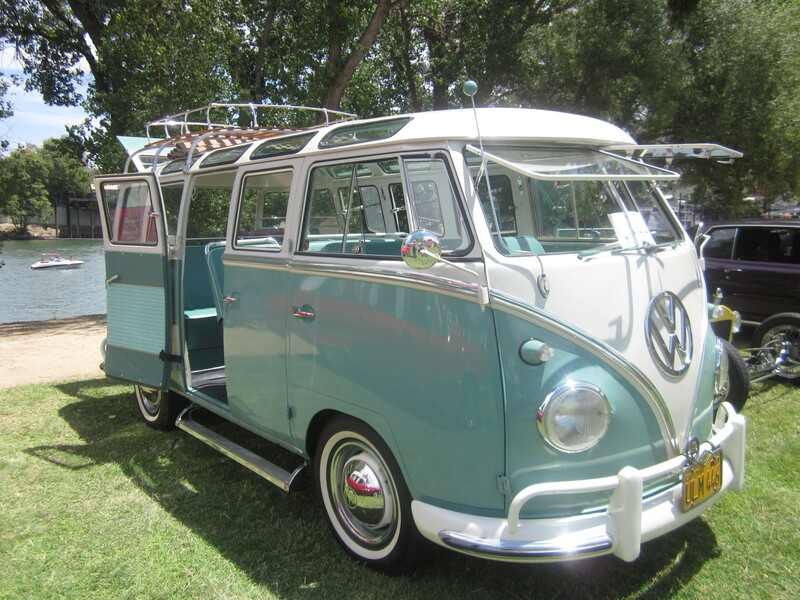 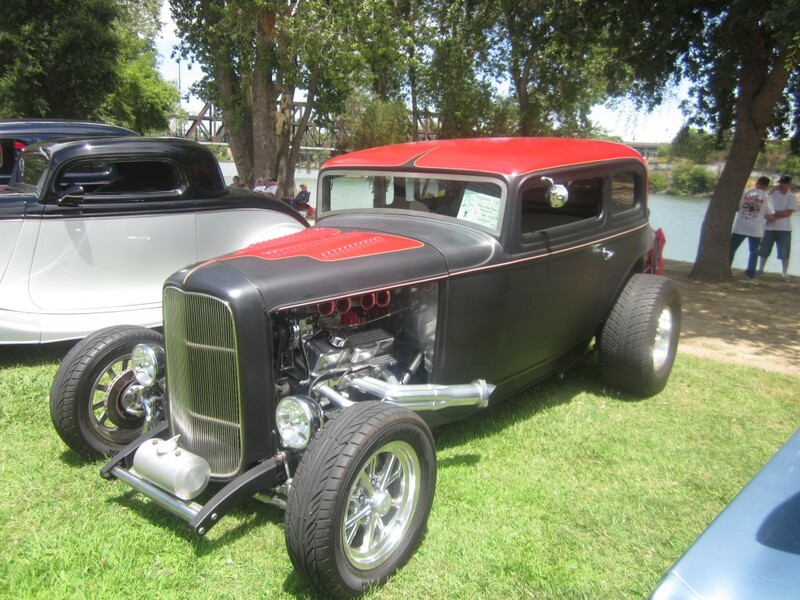 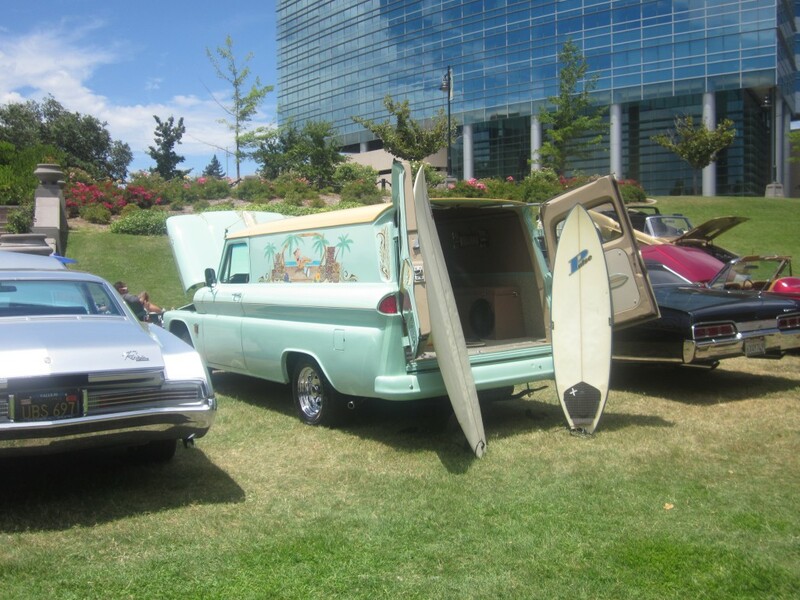 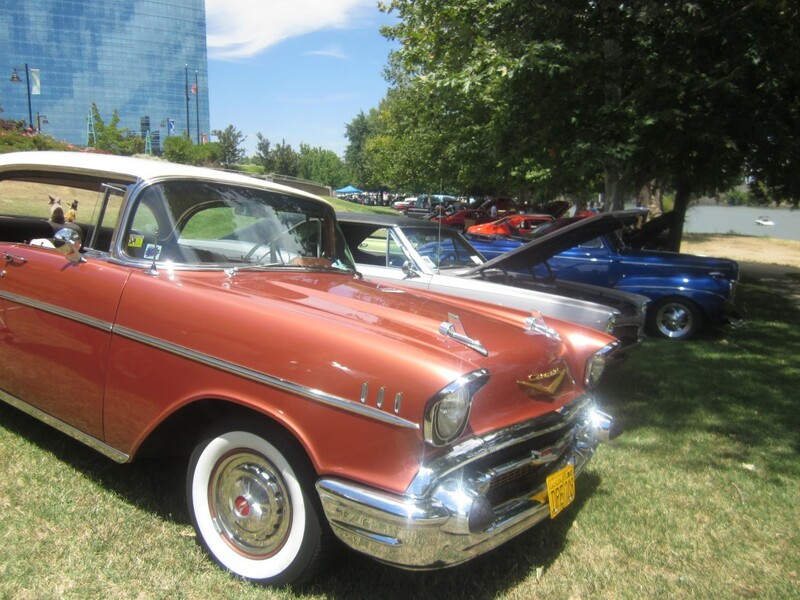 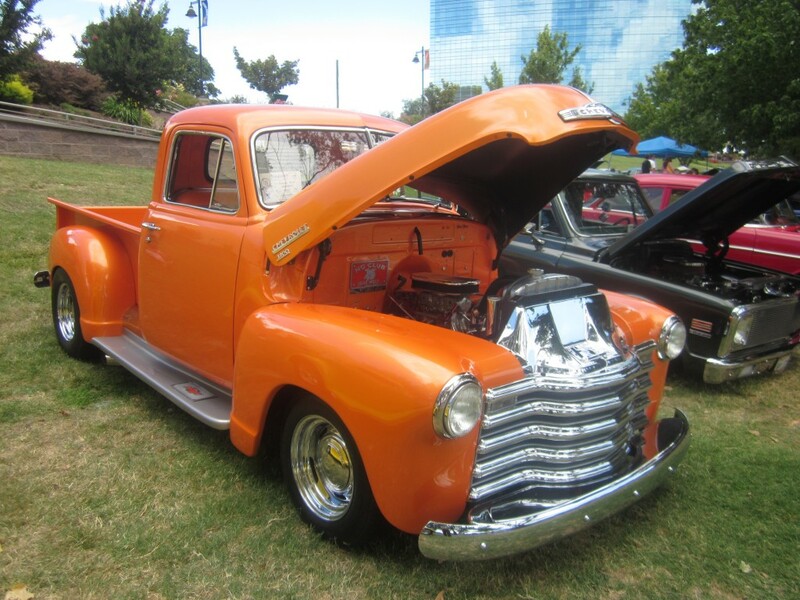 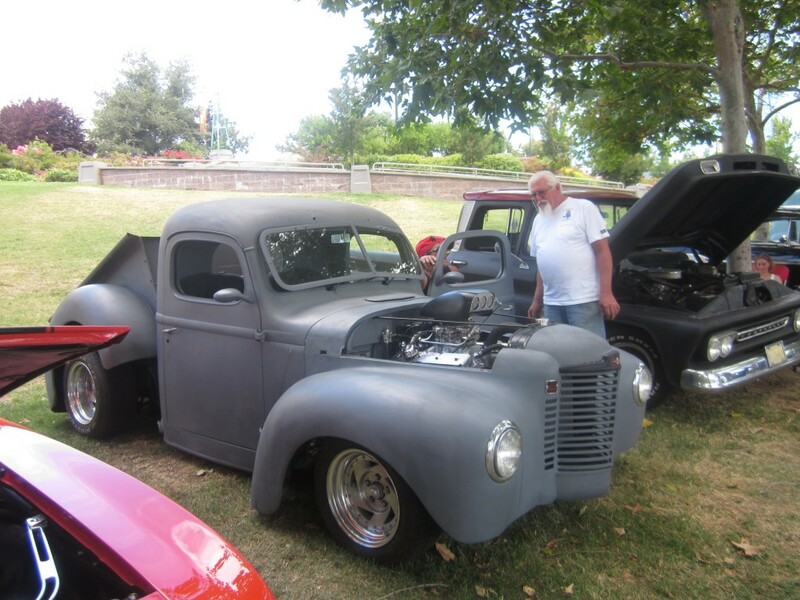 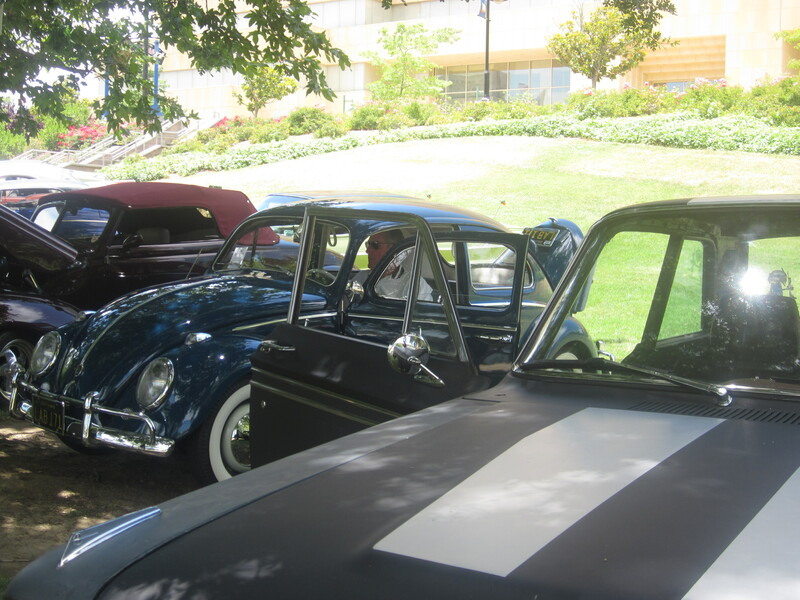 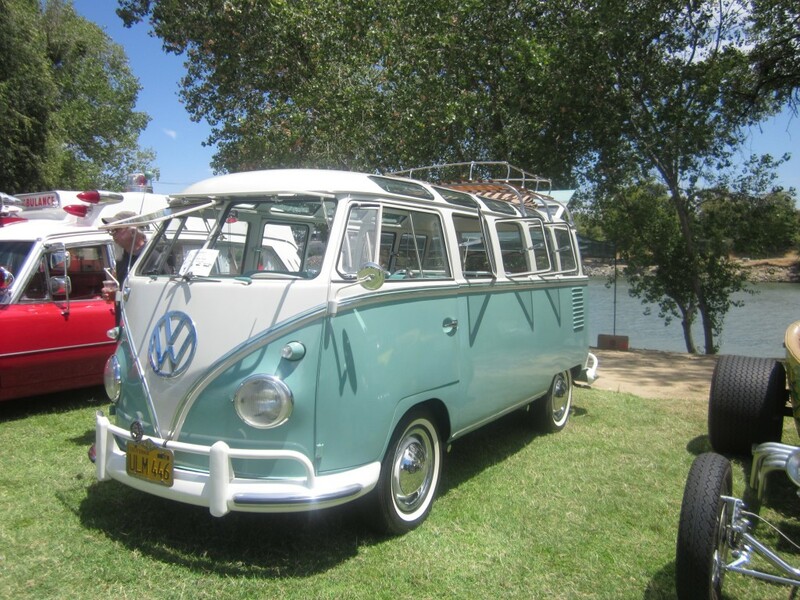 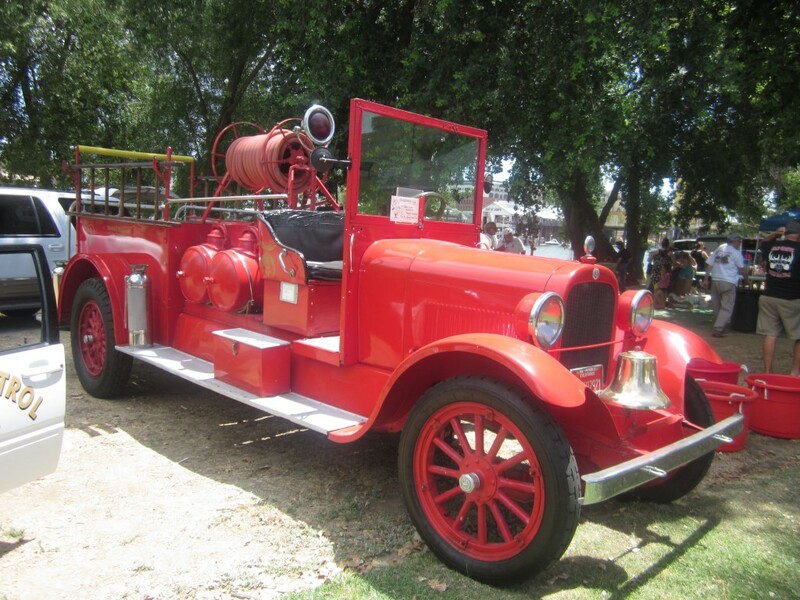 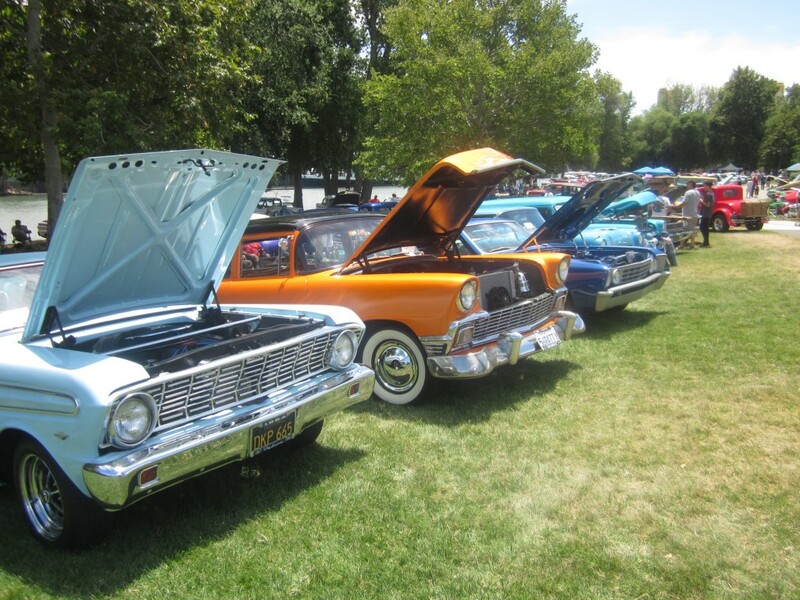 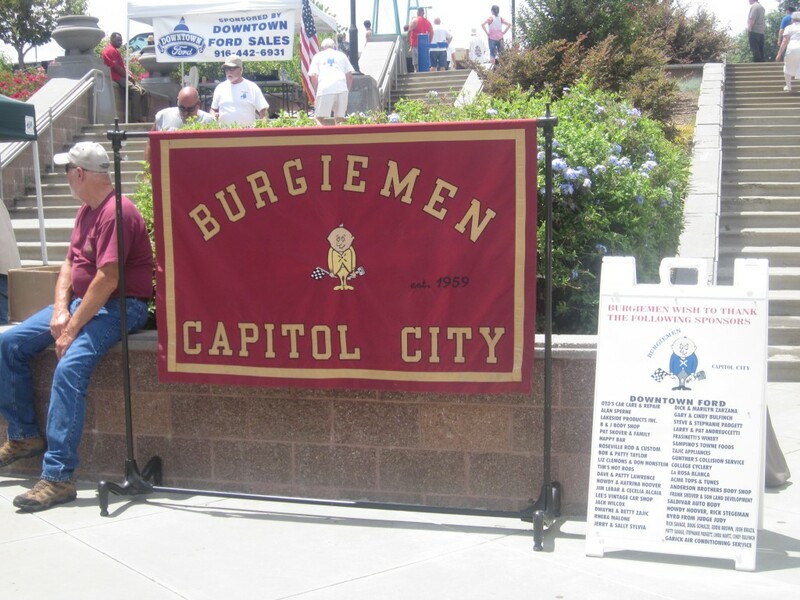 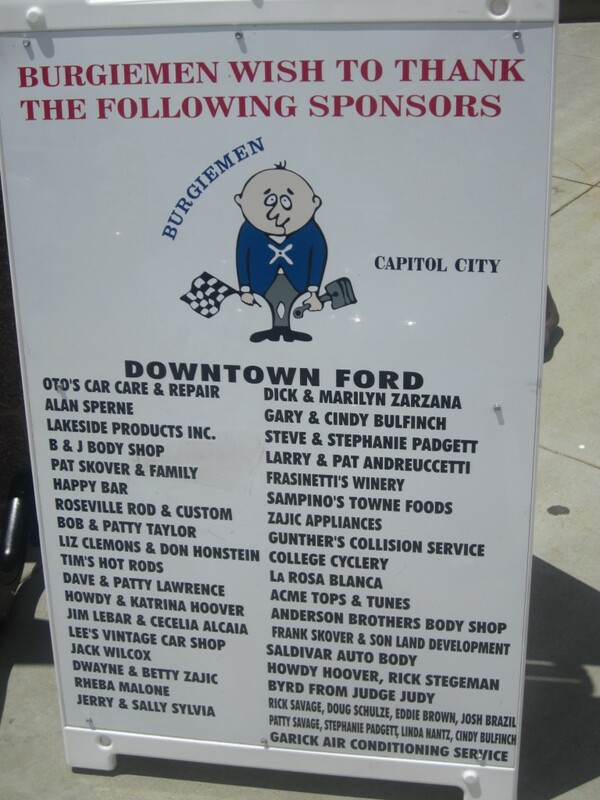 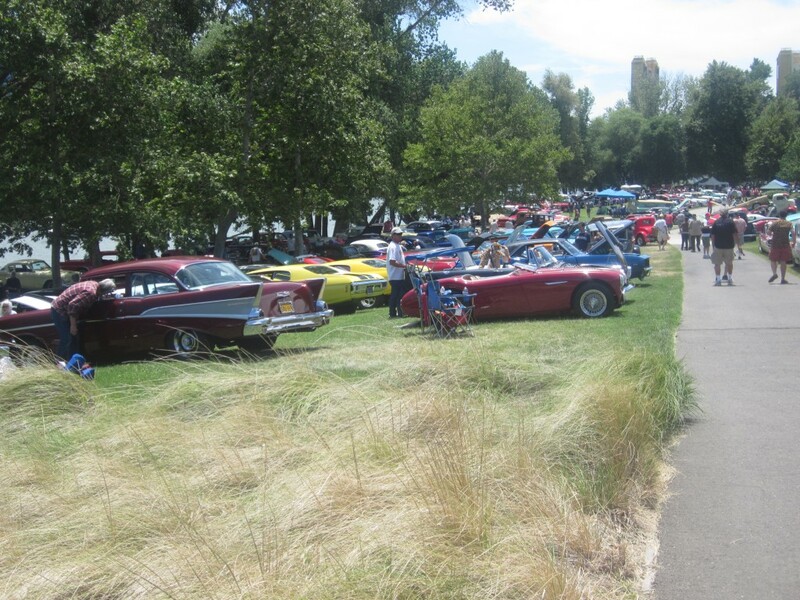 Nestled along the Sacramento River for the Burgiemen’s 2015 River City Classic were more than 250 cars and trucks in myriad colors, shapes and sizes, including a completely outfitted 1970 Cadillac ambulance, Studebaker, Austin Healy and a 21 window VW bus. 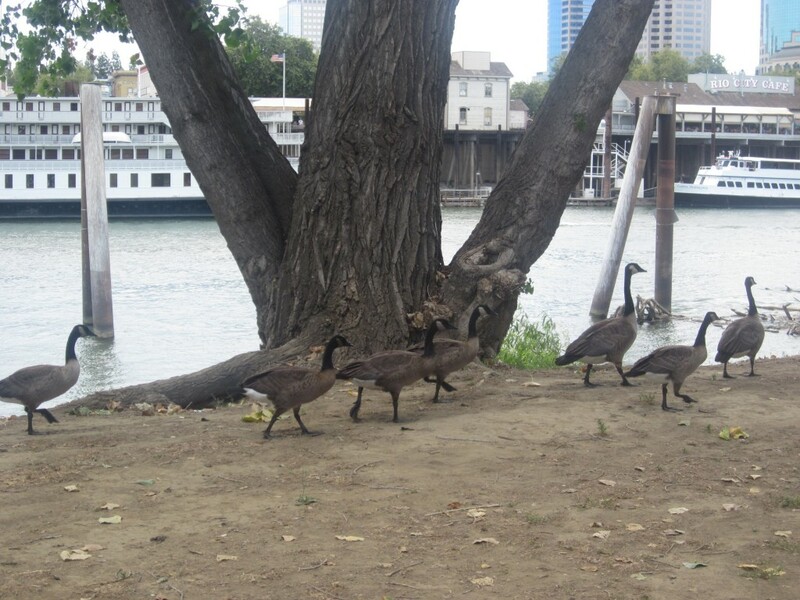 The event was enjoyed by young and old (and a gaggle of geese) meandering along walks, across grass and seeking shade. 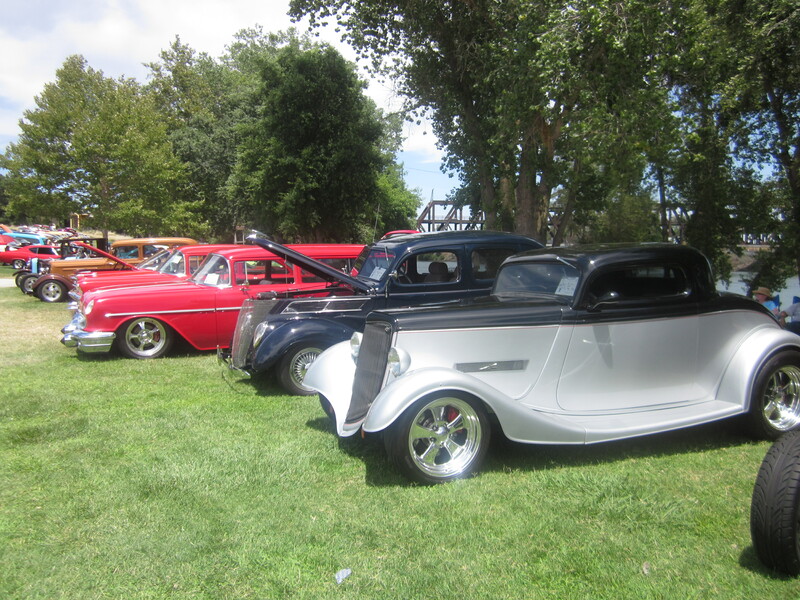 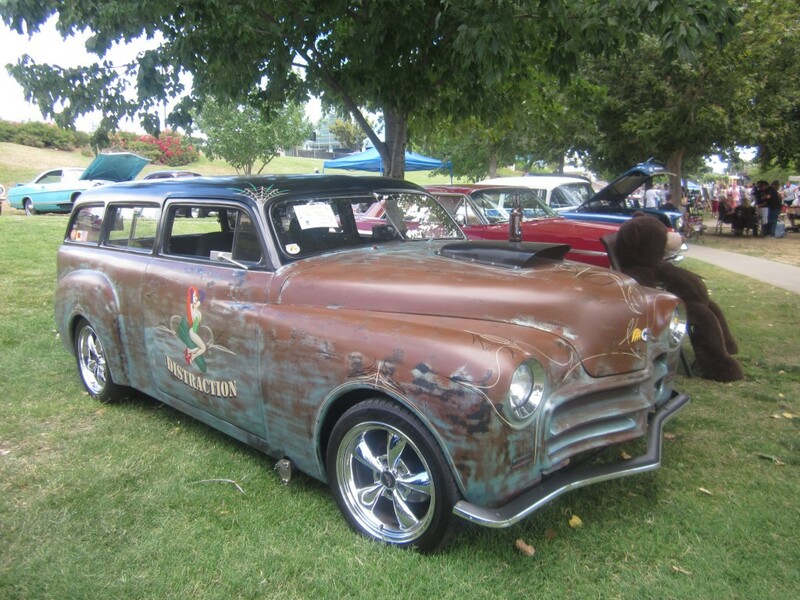 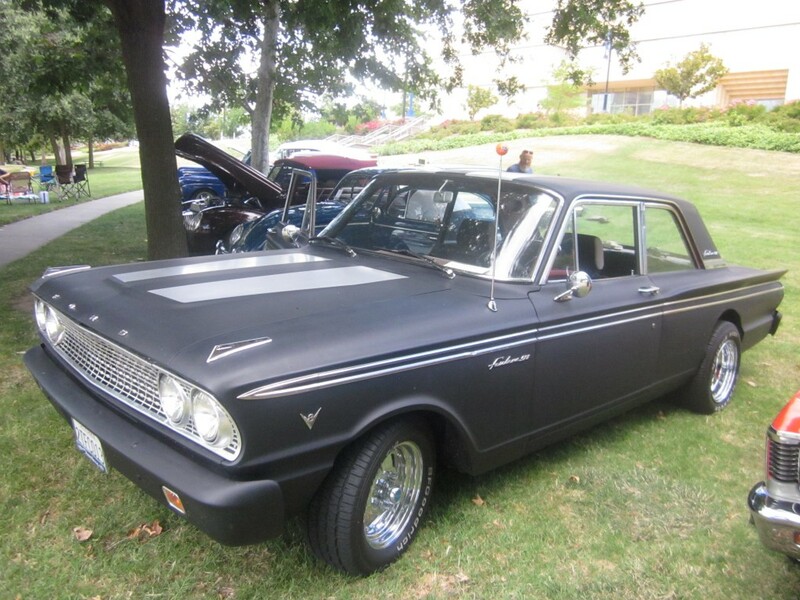 Awards were presented to car owners and supporters, including several well represented car clubs (Over the Hill Gang, Thunderbolts, Italian Hot Rod Association and Capital City Cruisers). 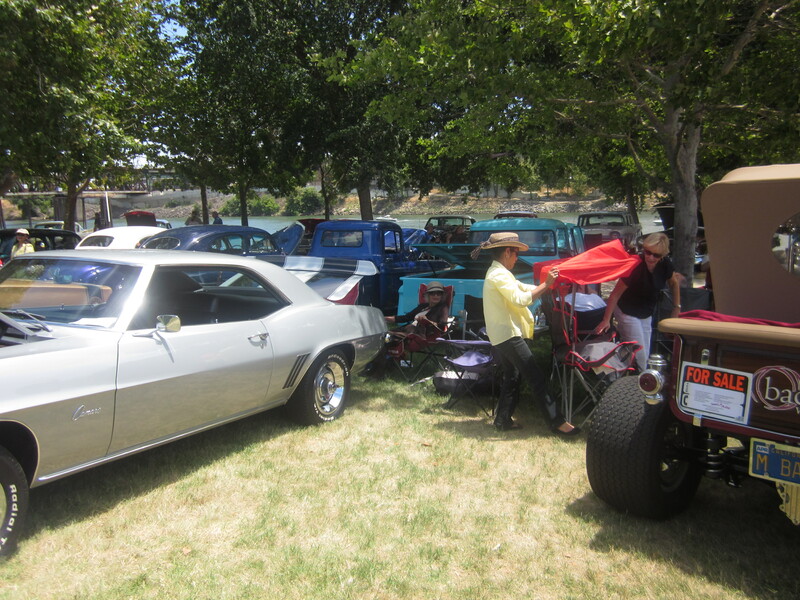 Sacramento Challengers received the Club Participation award. 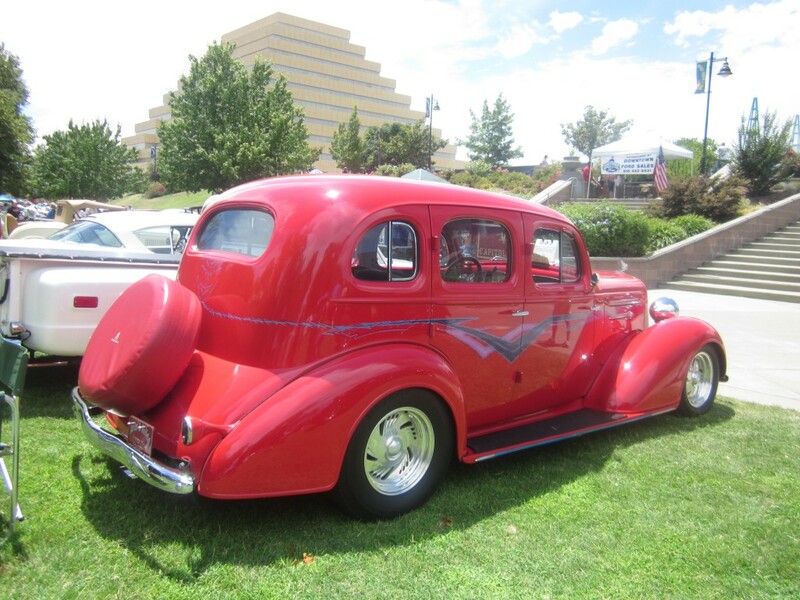 Best of Show was awarded to the 1934 Ford Sedan, Peoples’ Choice went to a 1950 Ford Sedan, but the most excited recipient was perhaps Lisa Hale who received the Burgiemen’s Ladies Pick for her 1950 Studebaker. 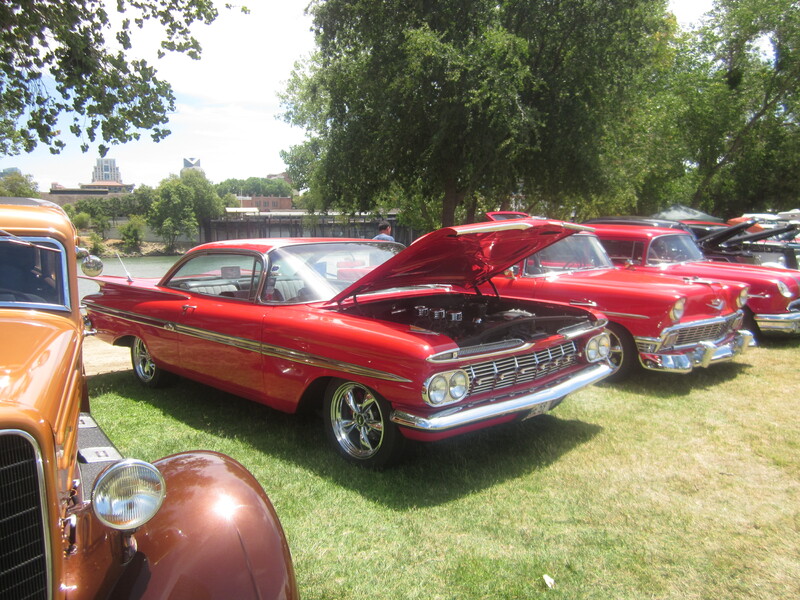 Awards for best flame, best upholstery, best graphics and best motor were also handed out. 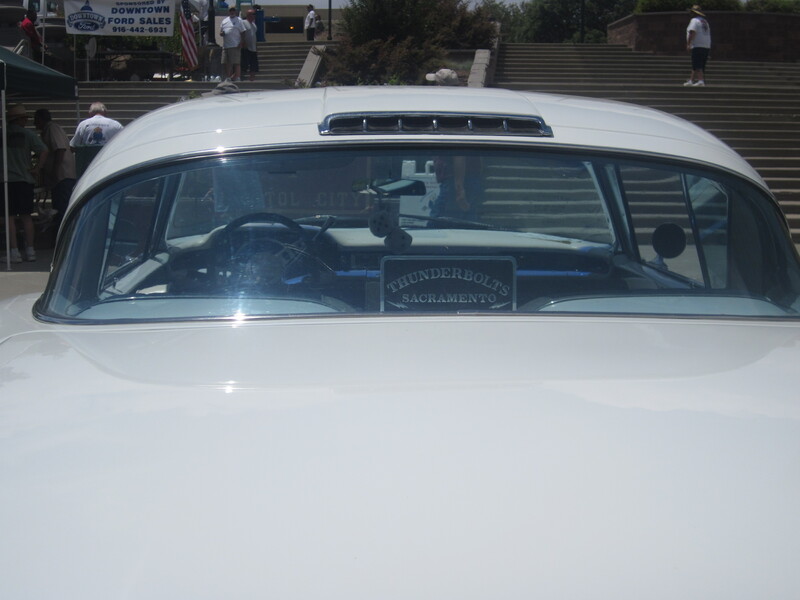 Petri Hawkins-Byrd of the Judge Judy show awarded the Judge Judy Pick to David Jackson for his 1939 Ford convertible after first giving the audience a few laughs. 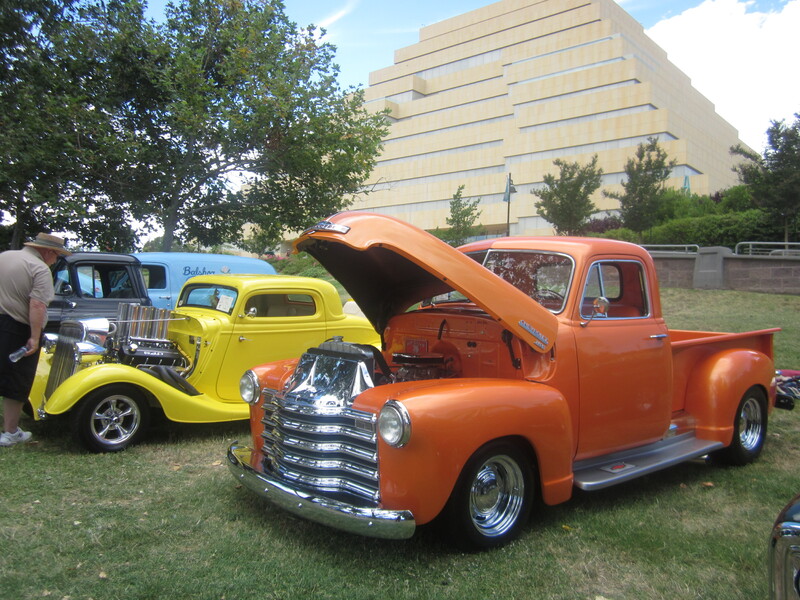 Funds from this show will benefit a number of charities, including Make A Wish Foundation.